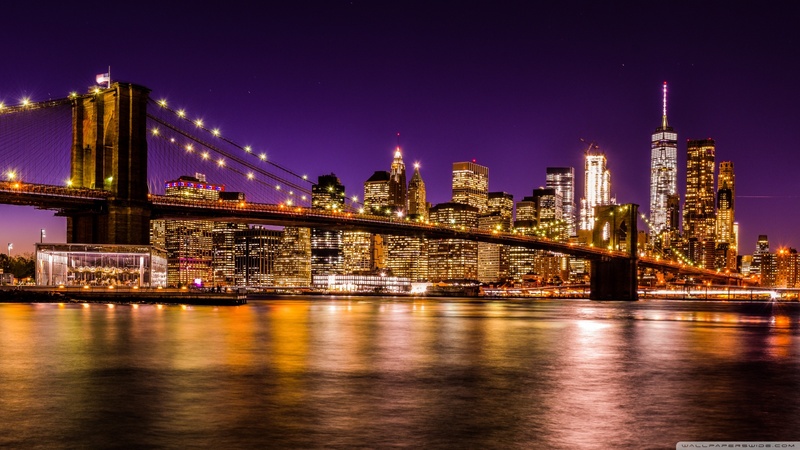 brooklyn bridge at night 2 壁纸 1600x900. . HD Wallpaper and background images in the Beautiful Things club tagged: photo.